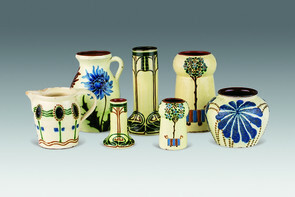 On exhibit are 2,000 ceramic objects from the Art Nouveau and Art Deco periods: expressive pieces of ceramic art of Tonindustrie Scheibbs (1923 - 1933) and Scheibbser Keramik (since 1937). 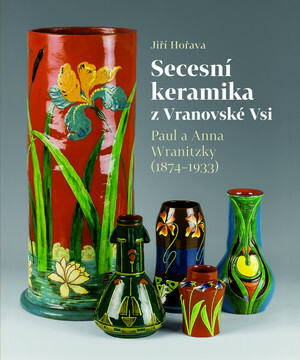 Our special exhibition 2019 shows extended 'böhmische Jugendstilkeramik' from Paul and Anna Wranitzky (P.A.W.) 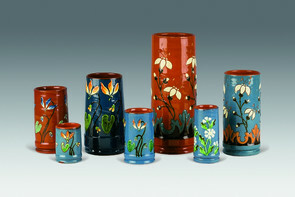 Founded in 1880 in Frainersdorf near Znaim, they produced mainly Blumenvasen with colorful Jugendstil design. The enterprise produced in Vienna and exported there products worldwide. See the paintings with colorful Engobe and colorless 'Glasur', so it looks like painted glass. The P.A.W.-Keramik was produced between WWI and WWII. 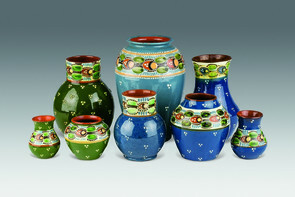 Nowadays there are 4 major collections in Europe: Hamburg (DE), Plymouth (UK), one in the Czech Rep. and one in Scheibbs. 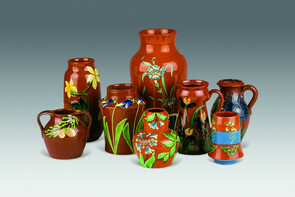 Our special exhibition shows exhibits from the Scheibbs collection. There is also a beautiful book available in german and czech language. 15,- Euro! 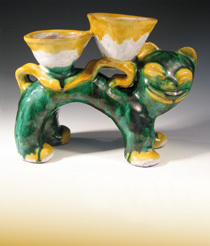 Since 1993 the Hottenroths have been collecting the works of Scheibbser Keramik factory which they found worldwide. 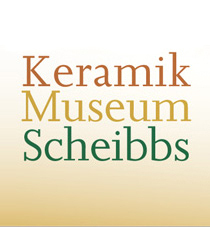 The collection presently contains nearly 2,500 objects and is now publicly accessible in the new Keramikmuseum Scheibbs. The museum building was originally built as a metal foundry, later housing the ceramic production from 1924 to 2004. The exhibited objects were produced here! In 2006 the Museumsverein Scheibbs (Museum Association Scheibbs) was founded. The association renovated the building with the kind support of the Lower Austrian government, the city of Scheibbs, and private sponsors. It is now in charge of the operation of the museum.